Manufacturer & Exporter of Seed Color Sorter & Tamarind Seed Sorting Machine. Our product range also comprises of Color Sorting Machine, Grain Sorting Machines and Coffee Sorting Machines. 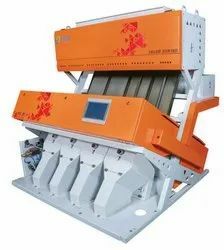 Offering Tamarind Seed Sorting Machine, contact us to get the best quoatation of Tamarind Seed Sorting Machine. We are offering excellent quality Seed Color Sorter such as Seed Color Sorter Machine, Seed Sorting Machine and many more. 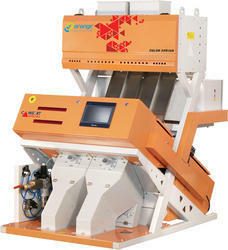 The provided sorter is a perfect sorting solution for seed processors and gives superb quality of seeds. Offered sorter is manufactured by our ingenious team of professionals using supreme grade components and latest techniques as per the defined industry standards of quality. 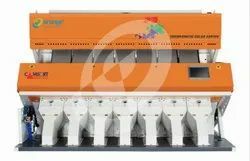 Known for its excellent functionality, this Seed Color Sorter is available with us in various technical specifications at affordable rates. QUAD Level Sorting Technology to set different levels to sort precise spot defect, and chalky. Arroza equipped with Defect Grouping dark and Light sorting technology. It can group he defects at two levels as the colour defect and spot defect and each group it can sort dark and light defect thus giving you the benefits of 4 levels of sorting for your input commodity. Reverse Sorting Mode The forward sorting mode helps in removing the defective product from the good and the reverse sorting mode removes a good product from the bad. LED light design to improve illumination also for the better life. User-Friendly Human Machine interface to display and operate the key parameters using the touchscreen. 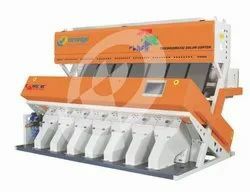 Cluster Bean Sorting Machine Manufacturer Truly Add Power to Your Sorting Strength with its Improved Software & Hardware Capabilities such as Quad Level Sorting Technology and One Millisecond Jet Valve Ejector. This Series Machines are the Combination of the Best Technology Available Today and our Decade Years of Experience in the Color Sorting Industry to Give You the Ultimate Benefit Of Getting Consistent Good Purity in Sorting With Minimum Loss of Good Grains in the Rejection That Means More Profit to You.